An extension of the (mostly) music blog Oklahoma Lefty, this show will feature underground music, interviews, and the occasional random rant. 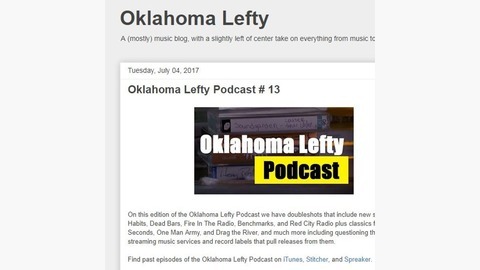 Hosted by Dave Brown, a 30+ year veteran of the underground music scene, the Oklahoma Lefty Podcast focuses on the best in punk, indie rock, alt country, and power pop (just to name a few). 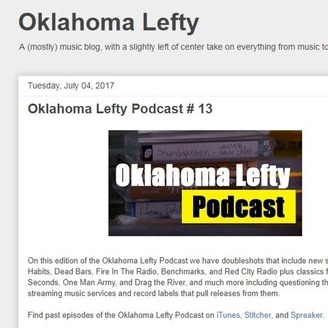 For more information on the Oklahoma Lefty Podcast and blog please visit http://oklahomalefty.com, follow on Twitter, Facebook, and Instagram @OklahomaLefty, and send any comments, questions, or submissions to oklahomalefty@gmail.com. *Note* All music played on this show is done so with the express written permission of the artist, artist representative, and/or the record label. Hot Takes # 02: "Take a breath, Try these for size"
Hot Takes # 01: "Be more kind my friends, try to be more kind"